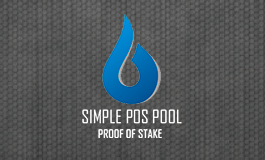 I understand that my deposit will be added to an input that will generate a stake reward. The stake reward don’t have a specific time nor date. If I order a withdraw and my coins are in a one of the generating inputs, i’ll have to wait for the stake to happen and only after the stake my order will be accomplished. We are using wallet version 120301. If you use a desktop wallet, please make sure you have the same version. Please point your device or copy the address and send any amount of coins.